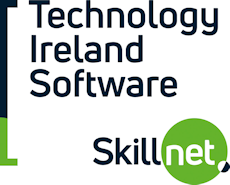 SoftTest Ireland (www.softtest.ie) in association with our sponsors InterTrade Ireland, Sogeti and Software Skillnet would like to announce our next event. Most of the discussion on automated acceptance tests focuses on immediate benefits in development and defect detection or regression testing. But that’s not nearly all you can get from your tests. While working on his new book, Gojko interviewed more than 50 teams that got big pay-offs from automated acceptance tests, including some that have been using agile acceptance testing for six or seven years. In the long term, most of these teams got quite unexpected benefits, such as being able to support their system easier, significantly change their business models or survive the absence of key business people. Gojko will talk about these long term benefits of acceptance tests and what you need to do to get them. Gojko Adzic is a strategic consultant, helping ambitious software teams improve the quality of their products and processes. He is the author of books Specification by Example, Bridging the communication gap and Test Driven .NET Development with FitNesse.